A main geographic attraction of Farafra is its White Desert (known as Sahara el Beyda, with the word sahara meaning a desert). The White Desert of Egypt is located 45 km (28 mi) north of the town of Farafra. 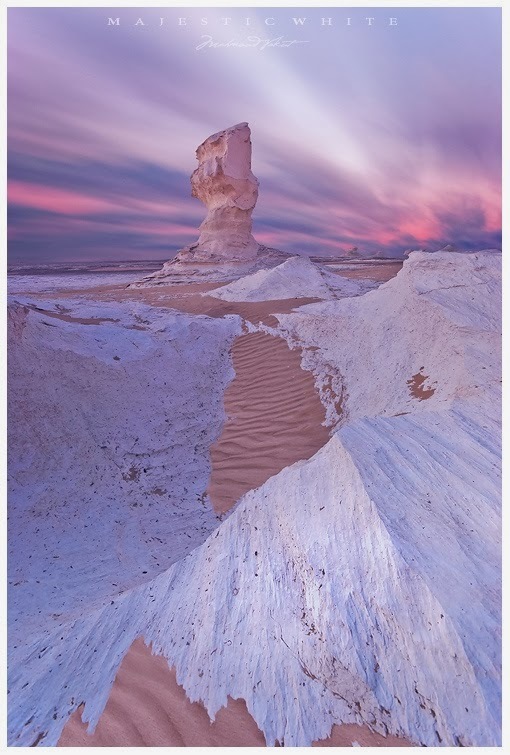 The desert has a white, cream color and has massive chalk rock formations that have been created as a result of occasional sandstorm in the area. The Farafra desert is a typical place visited by some schools in Egypt, as a location for camping trips. The Desert was also the featured location in the music video for "Echoes" by the Klaxons.